Rather than view with alarm Turkey’s announcement that it is building at least three military bases abroad, the United States and NATO have welcomed Ankara’s move as a contribution to stability. Nothing could be further from the truth. Turkey’s duplicitous fingerprints are all over support for terrorist groups like the Islamic State of Iraq and the Levant (ISIL), Jabhat al-Nusra, and Al-Qaeda in Syria and Iraq, Ansar al-Sharia in Libya, and the Muslim Brotherhood in Egypt and Tunisia. The plans by the Adolf Hitler-praising Turkish President Recep Tayyip Erdogan to build military bases in Qatar, Somalia, the Republic of Georgia, and Azerbaijan are in keeping with Turkey’s more aggressive and neo-Ottoman foreign and military policies. Turkey is also building its first aircraft carrier that will extend Turkey’s naval presence into the Red Sea and Indian Ocean. In the past, Erdogan has stoked the flames of Azerbaijani nationalism against Armenia. In 2010, Erdogan said, «Military cooperation between Turkey and Azerbaijan and the NAR (Nakhichevan Autonomous Republic) is one of the major components of our relations». It is believed that Turkish liaison officers have for some time been stationed at an Azerbaijan military base already maintained in Nakhichevan. Except when separatism achieves Turkey’s own Islamist aims, as in Chechnya, Ingushetia, Karachay-Cherkessia, and Dagestan, Turkey has become the natural enemy of separatists in the Caucasus region due to Turkey’s own war against any notion of an autonomous or independent Kurdistan. Ali's predecessor, Puntland President Abdirahman Mohamed Farole, along with Galmudug State President Mohamed Ahmed Alim, pulled out of a Somali peace conference held in Istanbul in 2012. Both regional leaders stated that the conference was not «Somali-owned» and that the Turks had their own agenda. With the announcement of the Turkish base in Somalia, both leaders have been proven correct. After subjugating Somali autonomous regions, the Turks will turn their attention to predominantly Christian Ethiopia, where the largely Muslim Oromo people are suitable «Trojan horses» for Turkish intrigue; Kenya, where there is a growing divide between the Muslim coastal region and the Christian interior; and Zanzibar, a secessionist-minded part of Tanzania dominated by the moderate Ibadi sect of Islam. Turkey has already shown itself to be a significant threat to Christian majority nations facing Islamist extremism, particularly Armenia, Ethiopia, and Kenya. In every move by Turkey to expand its military presence abroad, Ankara has the full support of NATO and the United States. The Turkish foray into Georgia and Azerbaijan would not be possible without NATO’s encouragement. NATO’s main objective in the Caucasus is to isolate Russia and apply direct pressure on such independence-minded republics as Abkhazia, South Ossetia, and Nagorno-Karabakh, the latter an Armenian enclave located within Azerbaijan. In Somalia, the Turkish military adventurism has the support of the ever-present US Africa Command (AFRICOM), which oversees all US military operations in Africa. And in Qatar, the Turkish base will co-exist with the massive US airbase at Al-Udeid, America’s largest military base in the Middle East. 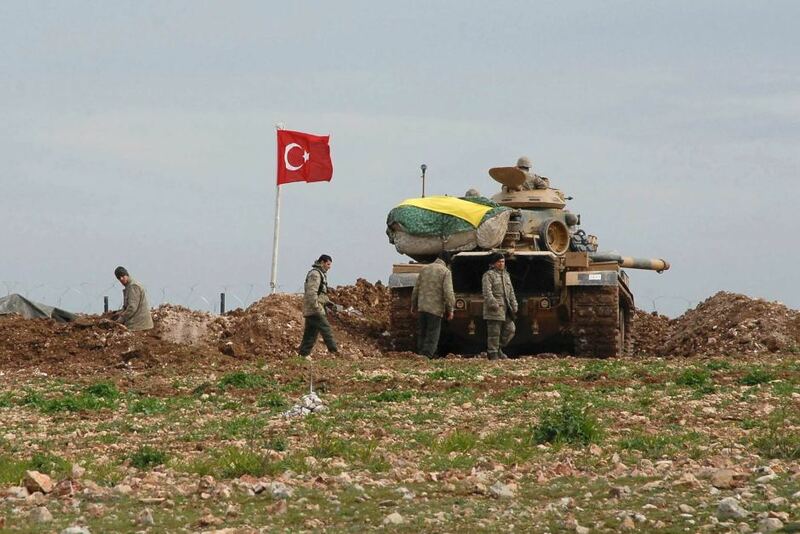 Turkey has established a military base presence in Iraqi Kurdistan and within Syria using proxy armies of Turkmen and Sunni tribes. And, for many years, the Turks have operated military bases in Northern Cyprus, which it known as the «Turkish Republic of Northern Cyprus», a secessionist entity recognized by no other nation.